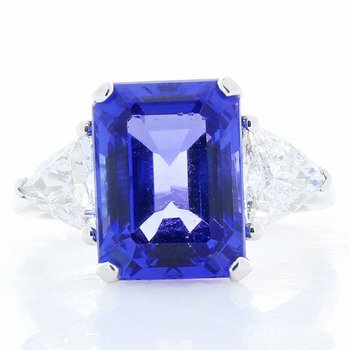 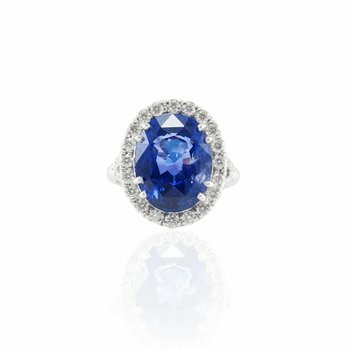 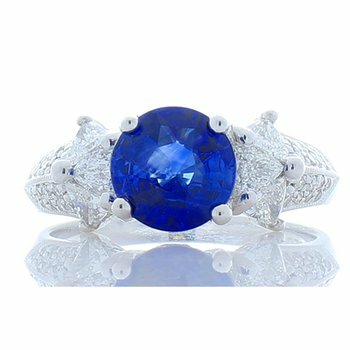 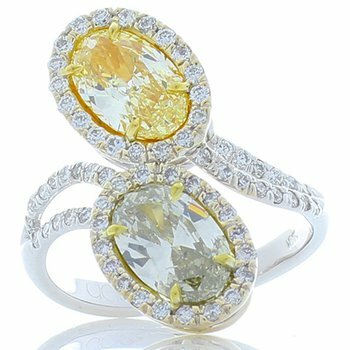 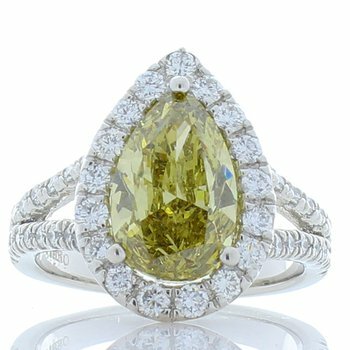 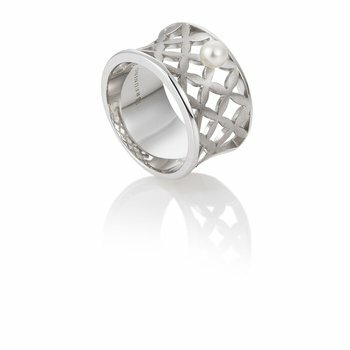 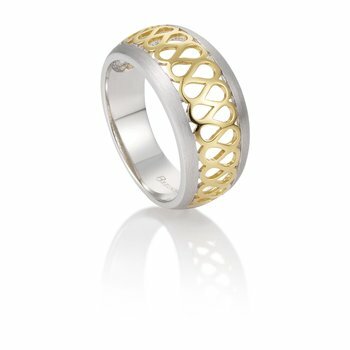 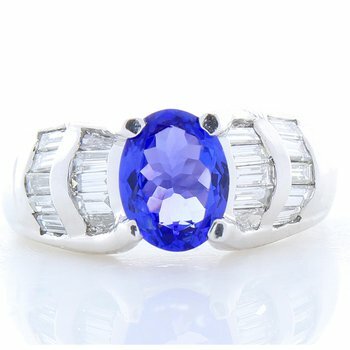 Marry this magnificent ring into your high-end jewelry collection for a ravishingly rare taste of luxury. 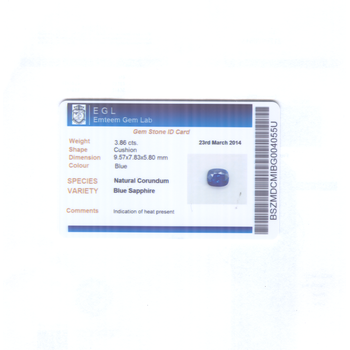 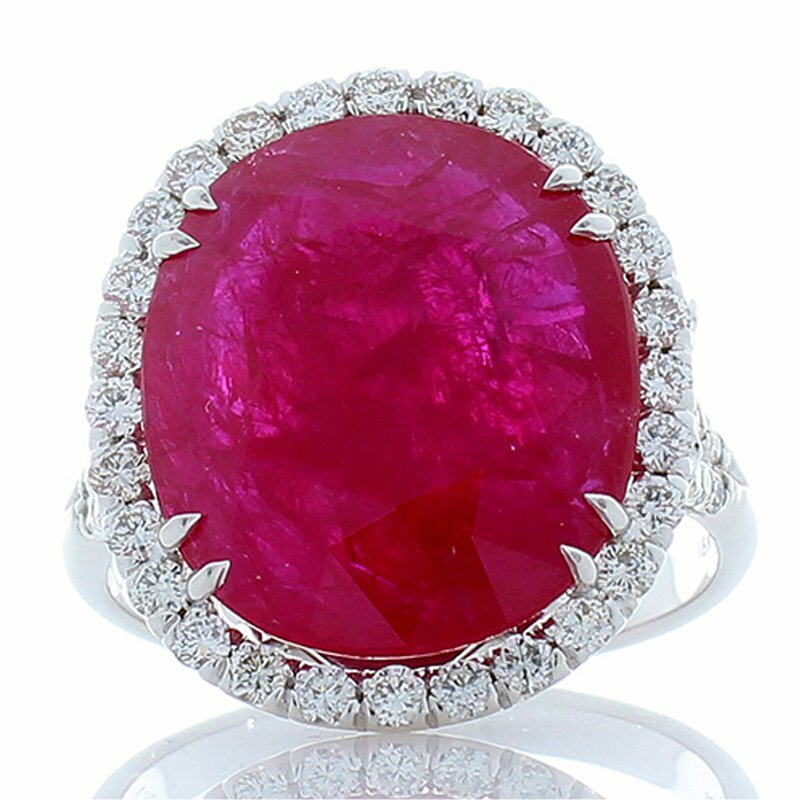 The feature stone, a cabochon ruby, boasts an impressive 9.82-carats in a cushion-cut. 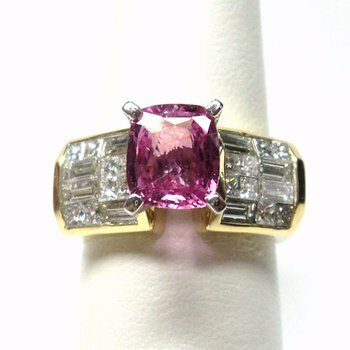 The prong-set pink-red gemstone boasts a bead-set halo of white diamonds. 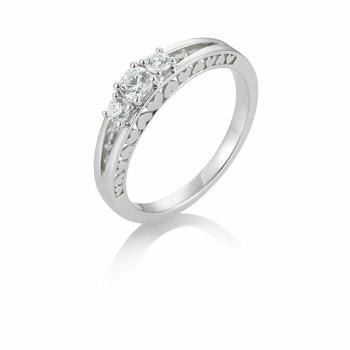 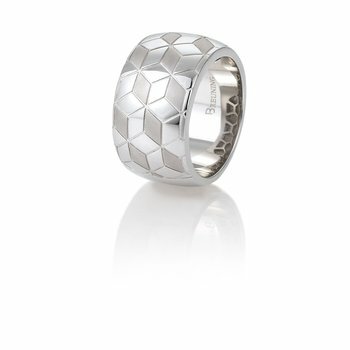 Additional diamonds accent the band, totaling 0.7-carats of brilliance in this ring's design. 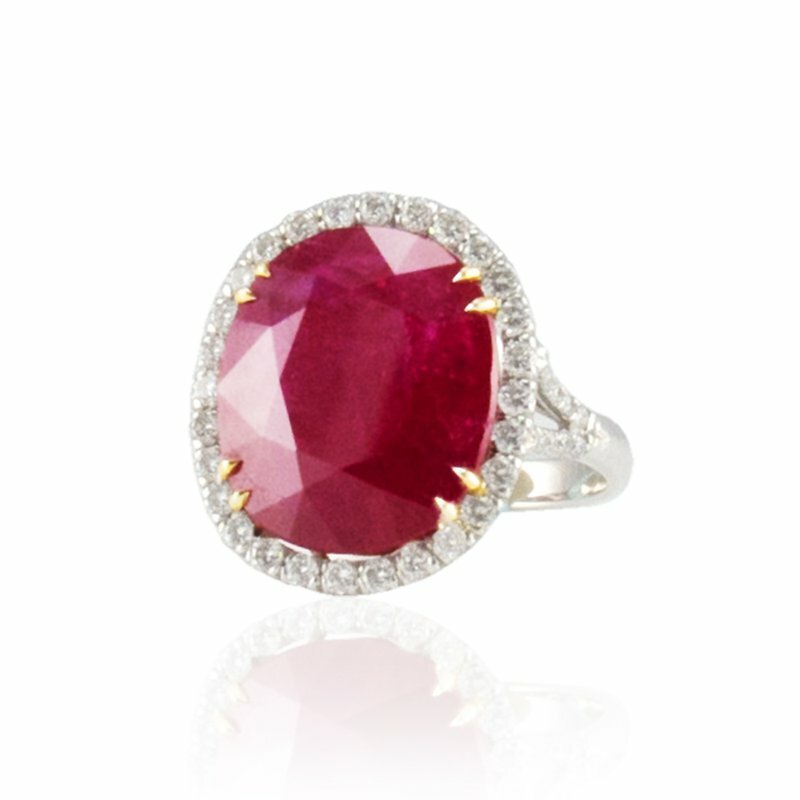 18-karat white gold allows a tonal contrast with the red ruby, enhancing its romantic red hue. 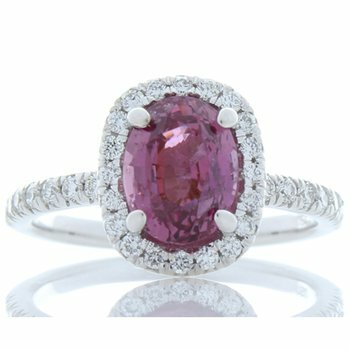 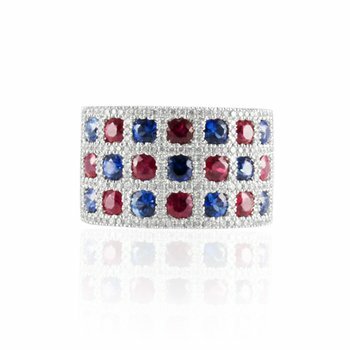 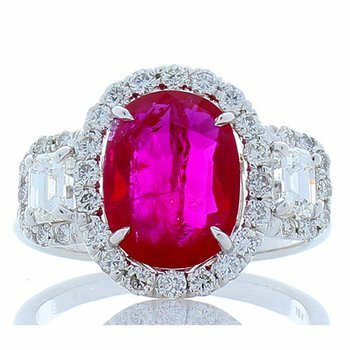 Give your collection an heirloom-worthy addition with this marvelous ruby ring.